are quite hilarious as it seems to have blown up over a karaoke competition! up and, after trading insults, the two nearly came to blows in the bar. were separated and returned to their respective rooms. proceeded to belt him on the legs with it! became something like a cross between Caddyshack and The Untouchables. Apparently, a glass was even broken! 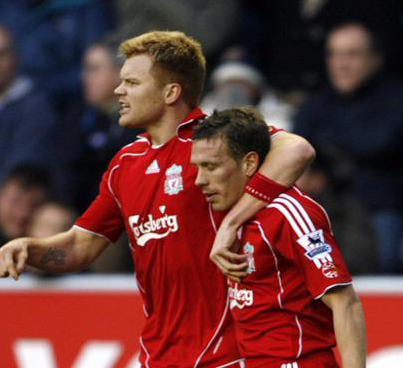 asked Riise to sing Whigfield's Saturday Night instead! What would Shanks have said eh? !